WTEL provides food waste collection and certified destruction services as well as educational resources for our customers and the public. Our success is measured in the number of businesses and people we can help with the quality of programs and services we provide. 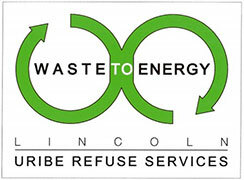 Our goal is to help our customers save money by reducing food waste generation and to improve the communities we serve by reducing greenhouse gas emissions poduced by landfills and the waste collections process. These programs and goals are fueled by our dedicated staff, our partners, and generous donors like you.